Are you a hiking fanatic? 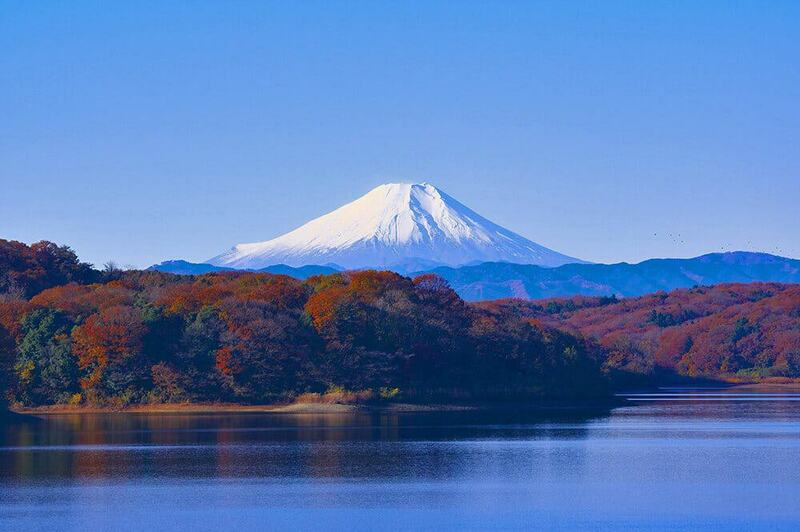 Did you plan a trip to Japan but you can’t make it to Mount Fuji? Don’t feel too bad about it! Kyoto hiking is definitely a thing: our favorite hiking spot in Kyoto is pretty close to the city centre! 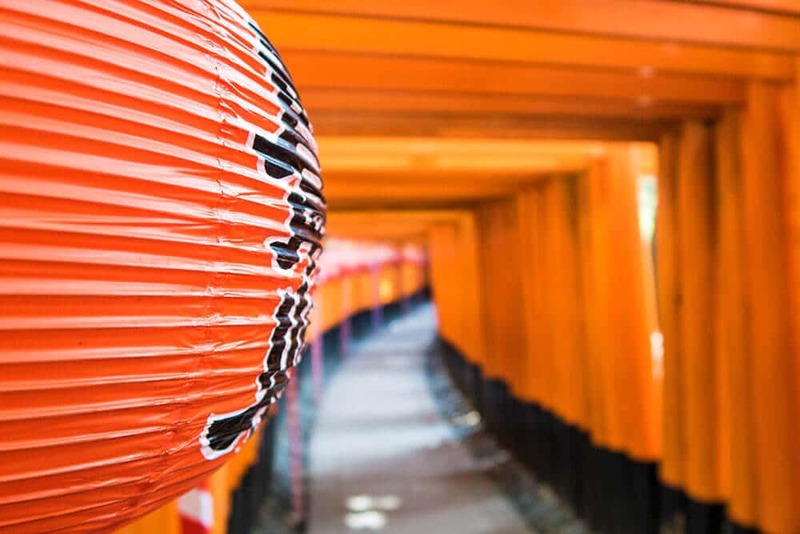 The Fushimi Inari Shrine, also famous for the “Inari fox” and the tunnels made by 1000 torii gates, is one of the best shrines in Kyoto. It gives you the chance to spend a lovely day outdoors, hiking on Mt. Inari. The Jr Inari station is on the other side of this huge torii gate: super close! We visited the Fushimi Inari shrine during our three days in Kyoto. It was our second favorite shrine in Japan, right after the Itsukushima shrine in Miyajima. 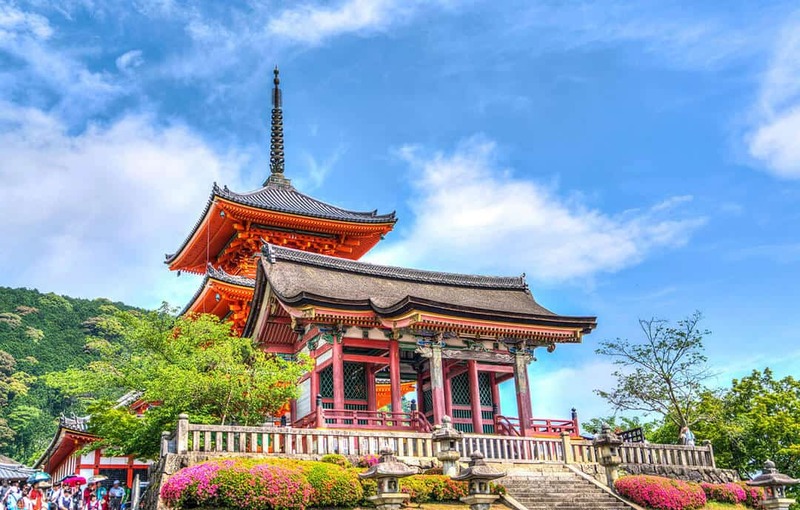 Sure, everyone is always talking about the amazing tunnels made of 1000 torii gates (just like they always talk about the deer at Nara Park), but in our opinion there’s so much more to this place. You get out of the train station and on the other side of the road you see this impressive Japanese torii gate, bright, huge and surrounded by statues of the Inari fox, portrayed in different ways. It’s more than enough to leave you gaping at such beauty, whether you visit on a bright, sunny day or when it’s covered in snow. 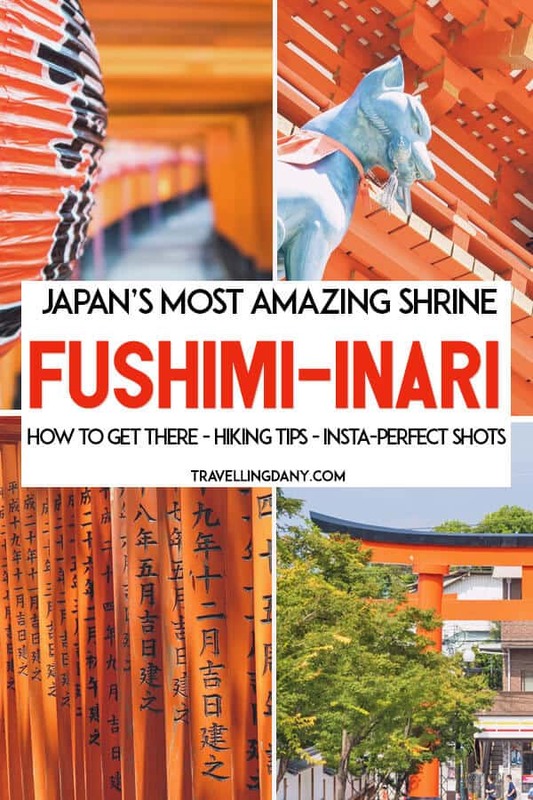 Fushimi Inari Taisha is a famous shrine in Kyoto: on Instagram there are over 74,000 pictures showing the thousand torii gates. 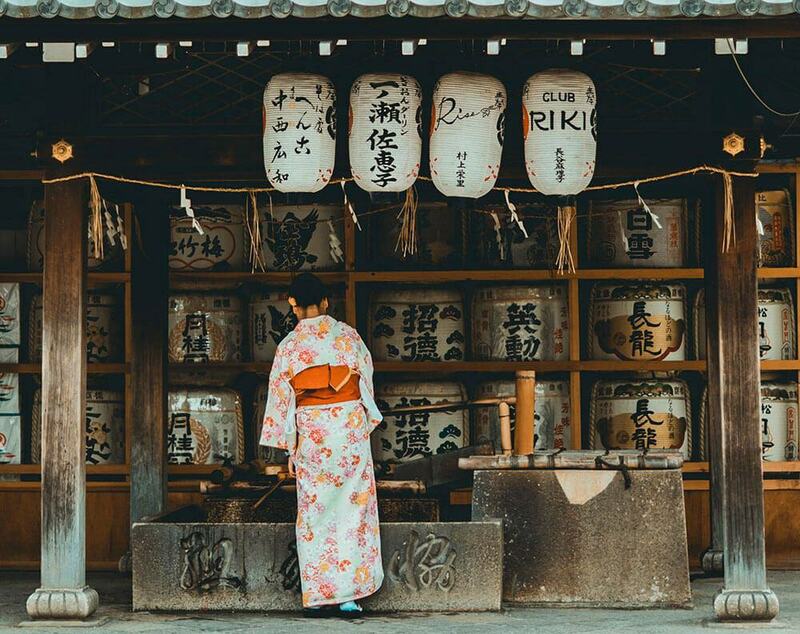 We can well say that it’s one of the most popular instagrammable spots in Japan, but more often than not tourists tend to forget that this is a sacred place, not only a cool area to take the perfect insta-shot (please, be respectful!). The shrine is dedicated to Inari, the Shinto god of rice. On the shrine grounds there are dozens of fox statues (often referred to as “Inari fox” or “kitsune“). Foxes in fact are thought to be Inari’s messengers, just like the deer at Nara Park, and at Fushimi Inari quite a few of them are portrayed with a key in their mouth or under their front paw. It is believed it’s the granary key, because they are guarding the god of rice shrine. Not many foreigners know that the Kitsune always come in pairs, and that there are many designs. From angry and intimidated to solemn or relaxed. Al easily spent a lot of time just taking pictures of the foxes, trying to find all the different designs and marveling whenever he found one that was particularly impressive. 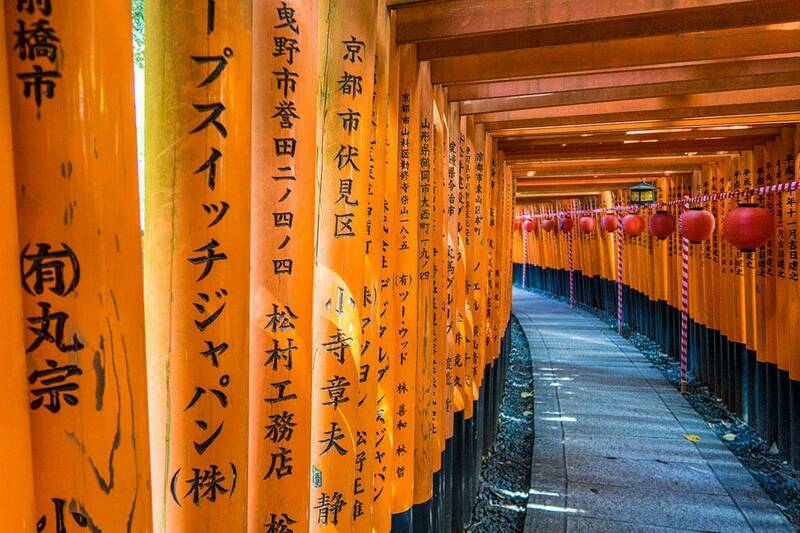 The Fushimi Inari shrine was founded in 711, and it’s one of Kyoto’s oldest and most important landmarks. Originary built on Inariyama hill by the Hata family, it was moved to the present location only in 816. According to a legend, a rice cake was shot into the air. It turned into a swan and flew away, landing on the peak of a mountain covered with rice fields. This led the god Inari Okami to be enshrined in the area, at Fushimi Inari Taisha shrine. This impressive shrine sits at the base of Mt. Inari and includes, aside from the 1000 vermilion torii tunnels, also several smaller shrines, which span 4 kilometres up the mountain. If you intend to buy a Japan Rail Pass, getting from Kyoto station to Fushimi Inari will be very easy. You will just have to hop on the JR Nara Line at Kyoto station to JR Inari station. Even if this line isn’t served by rapid trains (those that only stop to a number of stations), commuting from Kyoto to Fushimi Inari Shrine won’t take more than 5 minutes. Yes, you’ve got that right! I told you that Kyoto hiking is a thing, didn’t I? Now, if you don’t have a Japan Rail Pass, you can still use the JR Nara Line by buying a ticket at Kyoto station. It will cost you 140 yen one way. 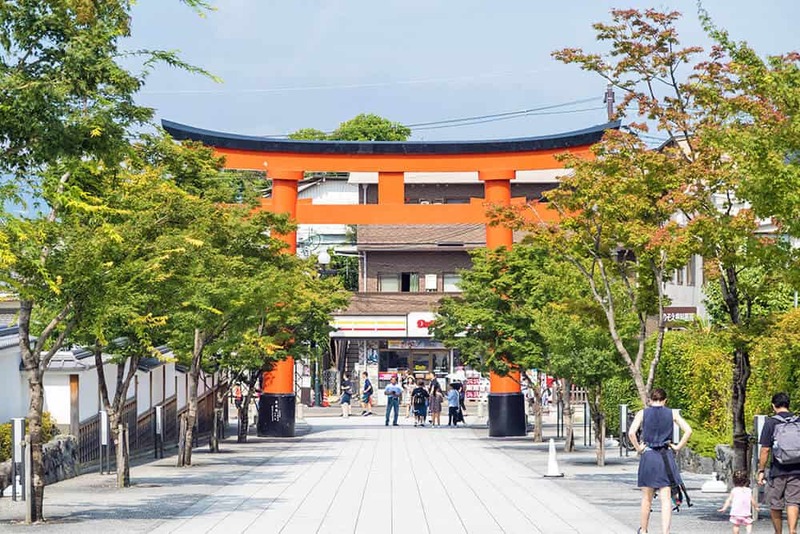 And if you are closer to the Fushimi Inari station, on the Keihan Main line, you can reach the shrine walking for about 500 m.
Because we were lodging near Kyoto Station and had a JRP, of course we used the JR Nara line. The massive Romon Gate (marking the shrine’s entrance), donated in 1589 by the famous warrior and leader Toyotomi Hideyoshi, is on the other side of the street. The entrance to the Fushimi Inari Shrine in Kyoto is free! The only money you might spend there could be those for nice Japanese souvenirs like Ema boards, lucky charms or Tsuko-Tegata (you will find lots of them also in Tokyo). 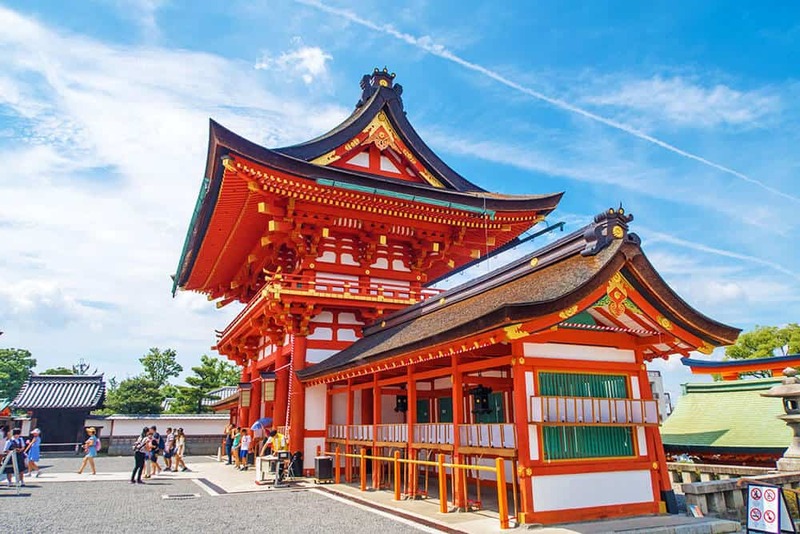 When we were planning our trip to Japan we kept on searching for information about the “Kyoto red gates“. Everyone kept on saying to go early in the morning to avoid the crowds, but… the specific Fushimi Inari shrine opening hours still eluded us! If you have the same problem, let me say it straight: there’s no opening hours because this shrine is always open! Being one of the best shrines in Kyoto, Fushimi Inari is also very, very crowded. 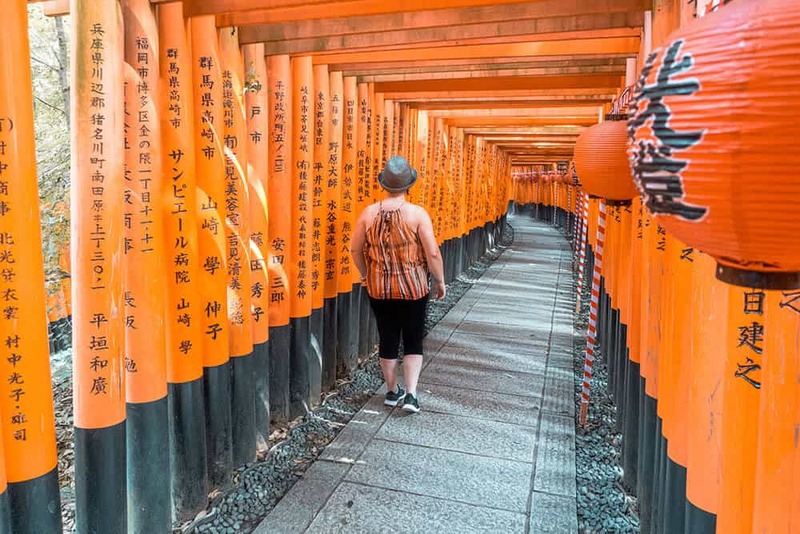 Millions of tourists come here every year to take pictures of the Fushimi Inari torii, so to make sure you still enjoy a wonderful experience without having to push your way through the crowds, you have to be smart. Getting at the shrine early in the morning is definitely an option, especially if you are planning to hike to the top of Mount Inari. 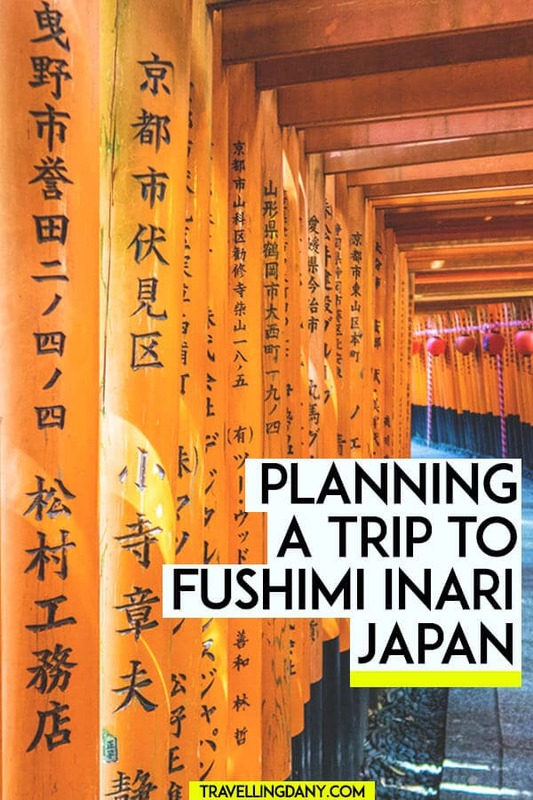 But if you do have a Japan Rail Pass (so you won’t have to pay extra for a train ticket), if the entrance is free and it’s always open… why don’t you enjoy the Fushimi Inari shrine at night? There are little lights that guide the visitors for a very romantic walk under the torii: while not all the trails are illuminated (and definitely not up to the top of the mountain), it will still be an unforgettable experience. If you’re lucky enough to visit during the week, you won’t find many people, and thus you will be able to enjoy the eerie feel of the Japanese forest at night. Walk in silence, and for once lower your camera to revel in the moment. I promise it’s worth it! The whole hike from the shrine entrance to the top of Mount Inari takes about 3 hours, if you keep a good pace. Yet even if the 1000 torii gate tunnels cut through the forest, it can be pretty hot: Japanese summers are brutal, especially if you’re not used to the heat. The best way to go, if you intend to hike to the top, is to make sure you get here as early as 6 am. You can even bring a bento with you and eat your breakfast with a view along the way! There are a few viewpoints with benches you can use for this. However nothing really forces you to keep going if you are too tired. 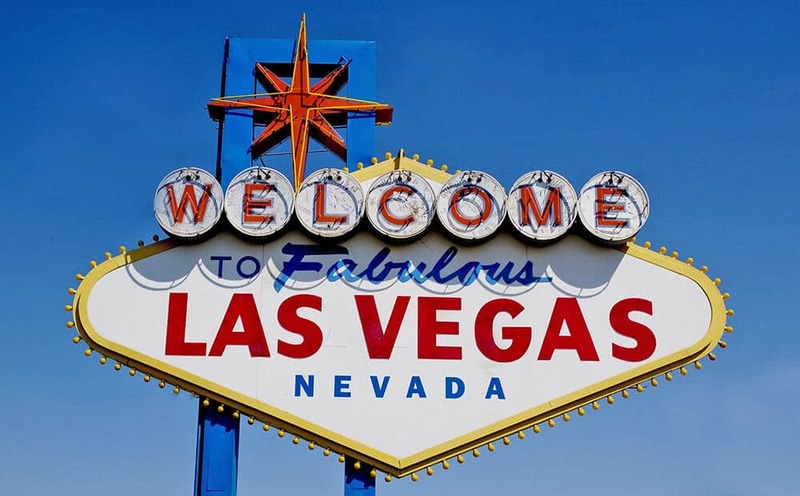 You can turn around and return to the main entrance any time! The red torii (each was donated by families or businessmen in the hope of receiving good luck) are some of the best Kyoto hiking trails. 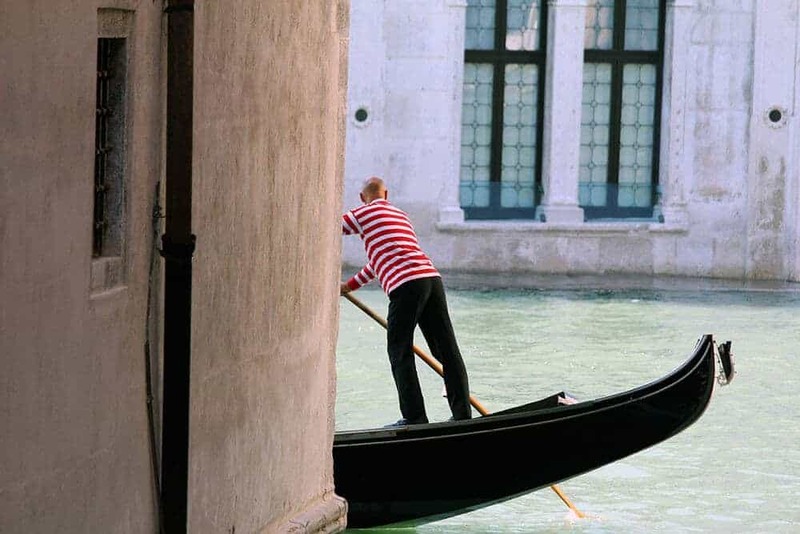 They are in fact easy to follow, and allow you to stop whenever you want to take beautiful pictures. The black writings on them aren’t directions, tho! They’re the names of the people who donated them. Imagine walking in what looks like a long, vermilion tube, surrounded by Japanese lanterns and the forest. Then the torii open to show a tiny shrine, where you can lit some incense and enjoy the moment. Along the way there are also a few small restaurants that offer sushi and Kitsune Udon, with bits of aburaage (fried tofu). Once you reach the Yotsutsuji intersection (in about 45 minutes more or less), halfway up the mountain, the density of the torii gates decreases, and you will enjoy a great view of Kyoto from above. Here the torii split into a ring trail that reaches the summit and returns back to the entrance. We didn’t hike much further than that, but we’ve read that there isn’t much else beyond this point. If you intend to hike this part, let us know how it is! 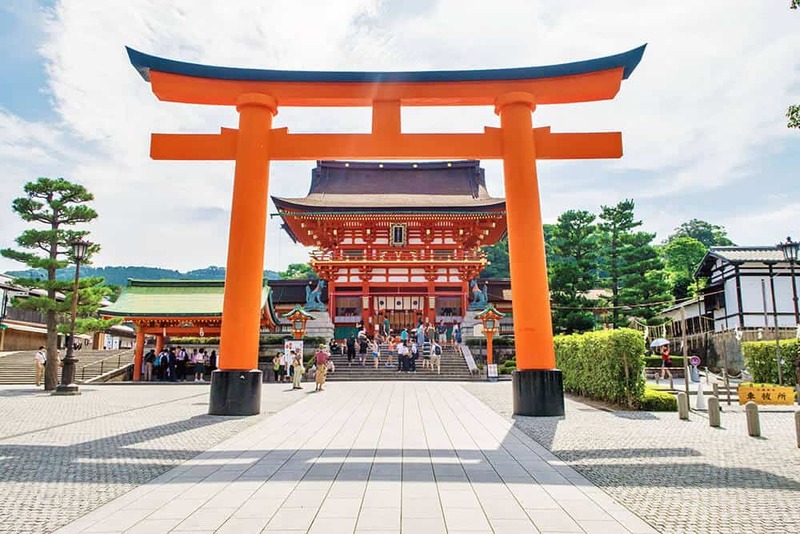 If you are planning to hike at Fushimi Inari Taisha, definitely consider spending at least half a day here, to make sure you don’t rush it too much. On the contrary if you’re only planning to take pictures of the vermilion torii or of the main buildings at the shrine, 1-2 hours should be more than enough. What you should always keep in mind tho is that Fushimi-Inari Taisha is not really a spot where you’ll find cherry trees in full bloom in spring. If you want to enjoy hanami, you should have a look at the best out of the beaten path cherry blossoms spots in Japan. There are some not far from Kyoto!